Here is the newest project off the needles. It is the Hunter Hat from Tin Can Knits. I rediscovered my copy of 9 Months of Knitting while cleaning up the house and decided to give the pattern a try. I am happy to report the Hunter Hat was a pleasure to make. I made the adult size using Paton’s Classic Wool in Jade Heather. The pattern was great, and I enjoyed the varying cable sequence. Really easy to read and memorize. I have to say I am a tight cable maker so the hat did come our a little snug. I am thinking some aggressive blocking will get me a bit more room. As of right now it is great for an older child/adolescent. I decided to work on a gift for my new husband during our honeymoon. A sweater was out of the questions as he is 5’10” and that project would have been a pain to cart from place to place. I needed something super portable and easy to pack. So the winner was socks! My husband likes really plain and simple clothing…think stripes and solids. 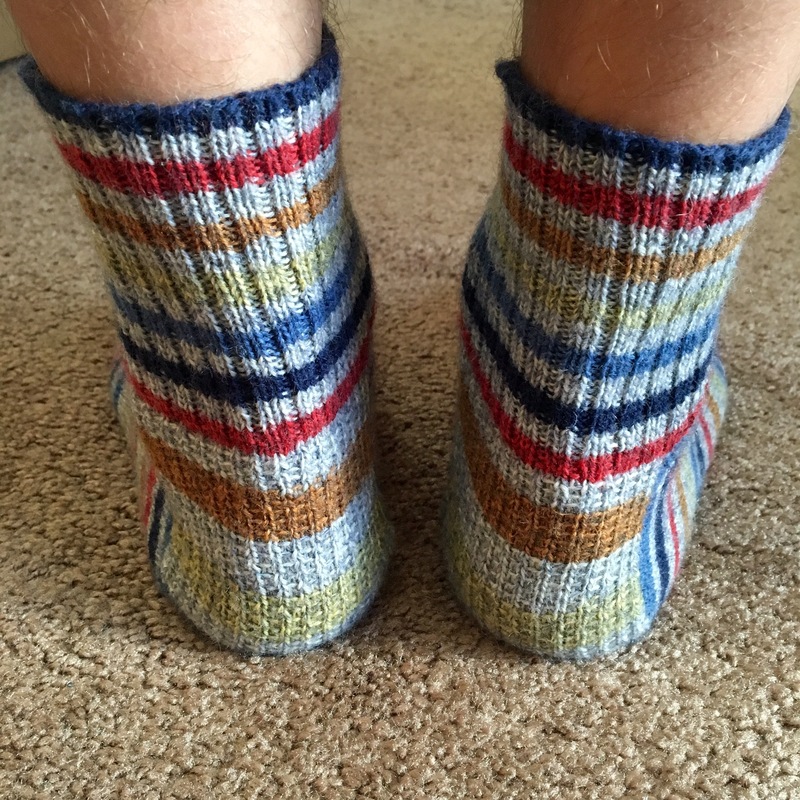 Much to my delight I found Paton’s Kroy Sock Yarn (self-striping!) at my local yarn store. The yarn is a washable wool/nylon blend called Blue Striped Ragg. The yarn label states it is Super Fine (1), yet it recommends you use a US size 3 (3.25 mm) needle. I knitted a swatch with US 1’s and it felt a tiny bit dense, but not impossible to work with. As for the pattern, I used a basic sock blueprint and embellished the heel flap. I start at the cuff, progressed downward, and then use the Kitchener’s stitch to bind off. I casted on 69 stitches and knit in a 2 X 1 rib pattern for the cuff. The heel flap is based on a mock rib stitch (slipping stitches rather than purling to create a ribbing like affect). Then I worked in stockinette stitch for the foot. I was a little bummed about the toe. It came out really boxy. I don’t know what went wrong. Since I was finishing the socks not near reliable internet (hence I couldn’t Google it) I just did the best I could. My husband didn’t seem to mind and the average person can’t really tell… Or at least that is what I keep telling myself. 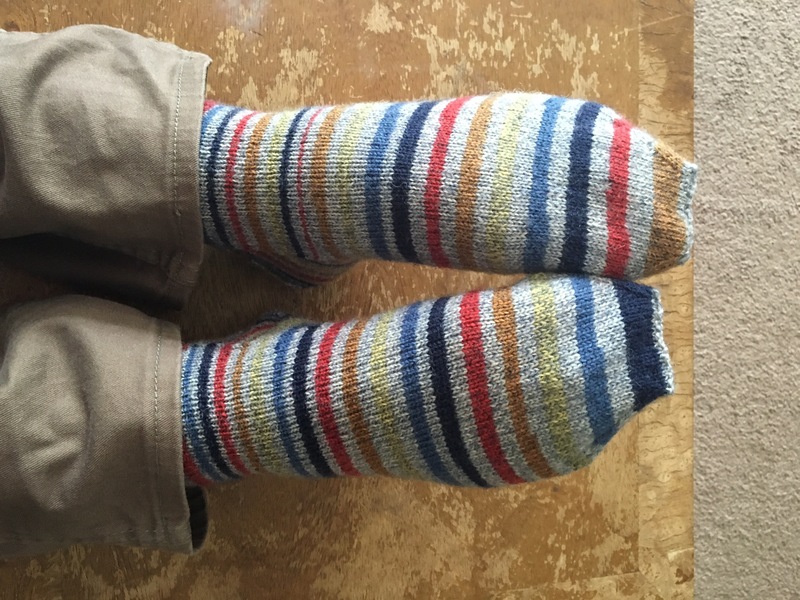 I ended up using 1.5 skeins of yarn to make these socks. I started off with an identical pair, but something went awry. By the time I figured it out I was too far into sock #2. I was just too lazy to rip them back so fraternal twins it was. I had Zach’s Bay Crop Top on my needles before I embarked on my trip east. This was a lovely lace project to work on. It was just challenging enough to keep me busy, while still being a pretty quick project. 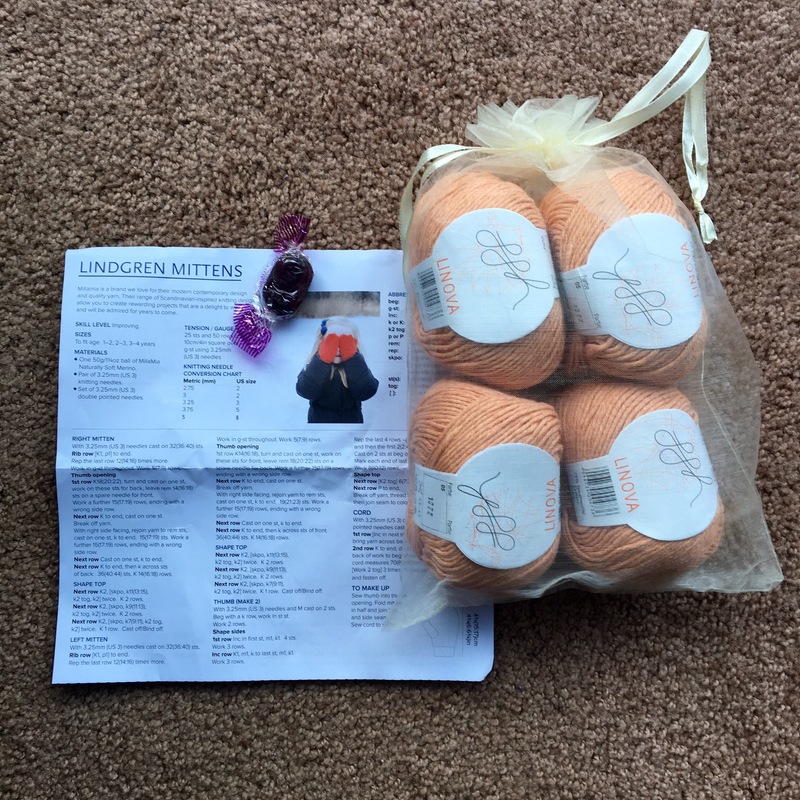 The yarn was my first purchase from Love Knitting. I was really impressed with the packaging. It came in a pretty bag with some hard candies and a free pattern 😊. Ordering from them took a little longer than WEBS, however, it wasn’t to the point where I was loosing my patience. The yarn (GGH Linova) was okay. It was a cotton/linen blend, which is perfect for summer items. It was smooth and relatively soft to knit with in addition to not easily loosing the twist in the yarn. Well want to see the finished result? Here I am modeling it at the Ljubljana Castle. 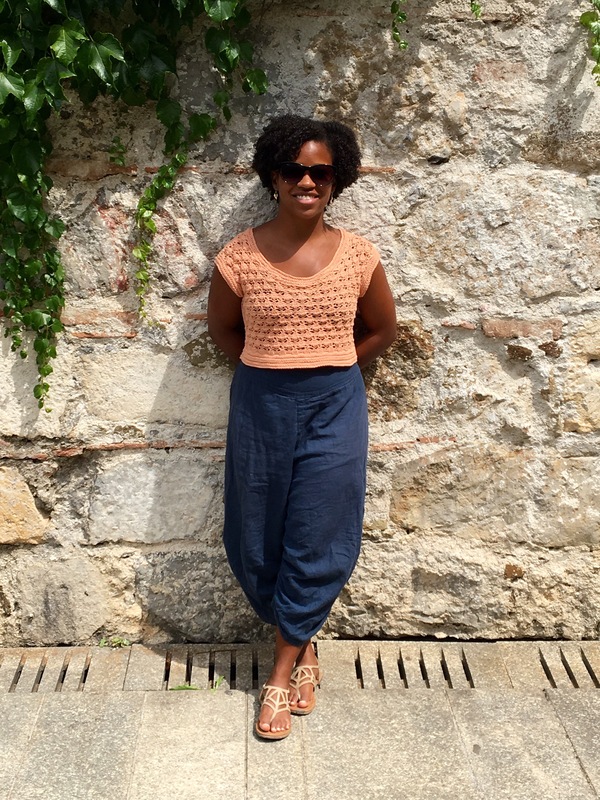 The top was super comfortable and with some high-waisted pants I was covered and stylish for summer. Success!